With over 70% of the Earth’s surface covered in water, but only 1% of that being fresh, desalination is becoming more and more common throughout the globe. While many arid regions, such as the Middle East and Northern Africa have been using desalination for decades, it is relatively new in North America, where fresh water supplies are more abundant. 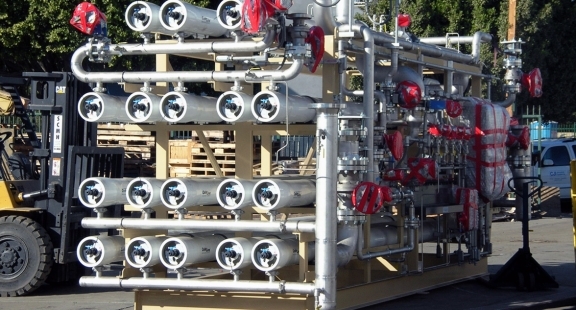 H2O Innovation has been involved in seawater desalination using reverse osmosis (RO) technology since 1995 in both the US and international projects (Caribbean, Tunisia, Saipan, Mexico & etc.). In addition, several projects with high salinity feed waters utilizing the same materials and concepts as SWRO systems can be referenced. Pre-treatment with either sand or membrane filtration can also be provided as part of a complete treatment package. Whatever the application, H2O Innovation has the expertise to provide a high quality system with state-of-the-art technologies and products to meet the needs of any client. We’ve designed and built desalination projects across North America. Your unique problem requires a unique solution based on footprint, water quality, membrane replacement considerations, operational constraints, etc. The solution comes from a thoughtful assembly of individual unit process operations to achieve your end goals. 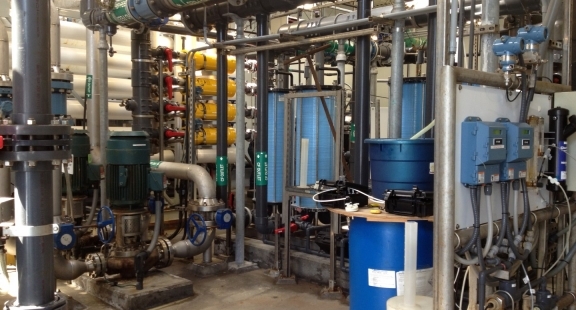 Below are the most common technologies H2O Innovation relies on for Desalination projects. Nanofiltration and reverse osmosis processes are popular membrane filtration technologies for small- and large-scale water treatment plants. H2O Innovation provides multimedia and greensand filtration systems that perfectly match your application. Clearlogx® is a patented technology that precisely and continuously controls the feed of specialty chemicals in order to improve overall treatment process efficiency. H2O Innovation’s monitoring package offers alarms and reports, which allows you to control your system right in the palm of your hand efficiently. Our team of experts is dedicated to success. In order to accomplish that, we rely on our unparalleled expertise and creativity in each project. With remote and onsite help, H2O Innovation’s Service Team works with your operators to keep your water treatment system running at its best.